Share your feedback here, Commanders! What the helll! That sonic barrier is way to strong! I have tried over and over and over. 8 times on a 92 with hammer. I used alpha troops, I used extra command points and I also bought the extra command points and nuke with gold. Had sf on my troops. And I still can’t even make a dent in the base! How am I supposed to play hammer when that is what I’m up against! I’ve been playing this game since it started. I have over a $1000.00 in this game. You can check on that too. You need to do something about this! This is nuts! I’m a general of multiple alliances, and a lot of my team players are so **** off about this. They’re planning on quitting and so am I! We can’t win the wars anymore. We can’t do quick match! So what’s the point anymore! Is there a secret to taking this out! What do we do! Please respond, or no more money from me or my alliances. Ya I am not really sure what the end game on this is. Obviously it is great to have on base for defense but... Realistically it nerfs nukes, and any prestrikes. Leaving you to just pick a corner and rush in head first... And with EMP to back you up you are left with Stims and Health which will only carry you so far. I am two stockpiles away from 30... I am interested to see if a viper can come in and take out a base with ease now. Totally agree on the comments re the sonic barrier. Way way too strong. The Zynga people go from one extreme to the other. Many players were saying that defenses are too weak and it is more geared to attack. 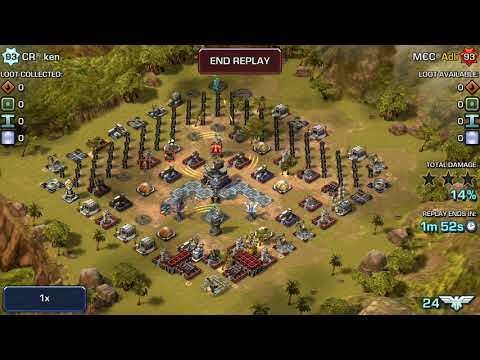 So what do they do, they bring out a defense building that makes it impossible to 3 star the bases. The prize goes to the Zynga idiots! A LOT, or people will vote with their feet. I have a L92 base, with L30 HQ. came up against a L82 in HF with SB and all the toys on defence building. I tried everything, and I mean everything to defeat it but couldn’t. After about 12 attempts I just gave up. It’s alright some people saying, you have to hone your attacking skills to defeat these bases. But these bases are impossible to get anywhere near 50% destruction. I suggest you have a rethink about this situation, and pretty quick. I agree with this comment. Sonic Barrier disappears the exhilaration taking the star 3 of this game. Every time I play the game, only stress remains. Responsible persons who adopted Sonic Barrier should take responsibility for failing the game. Because of Sonic Barrier, Falcon, Gator and so on became meaningless existence. You should decide whether to delete the user immediately by questioning whether sonic barrier is necessary. Sonic Barrier is a big failure of management. Absolutely agree with all the comments, lvl 15 viper + sf forces + command points and I can’t get anywhere near winning against a sonic barrier with stealth and a falcon. Totally ruined the enjoyment of the game. You just end up getting stressed, a serious error on Zyngas fault as you only play this game to de stress. You just need to learn how to deal with them. Always the same when something new is added. I’ve beaten plenty of bases with the sonic barrier now and yes 100% for 3 stars. Not going to lie I have also lost to some but makes it more of a challenge to attack in wars and qm. Adjust your attack and learn a new strategy. Thx for the new stuff (including sonic barrier) zynga. some Players drop emp bomb on d sonic barrier then nuke then a-10 then orbital strike ... alll near by buildings will explode . At Ava wars a player used the plane to shoot the sonic barrier then 2 orbital strike and it was gone . At hq 30 u should play with the viper only . Since the introduction of the Sonic i have tried to beat maxed bases with sonic. With stealth, ion canon, 2 EMP towers, 3 hives and strikeforce, falcon and a cnc vehickle (!) and well placed trees i must admitt they become nearly unbeattable. The Sonic neutralizes nukes and other bombs or emp; trees have become the new walls (the old walls are used as decoration). It is funny: In reality tanks are faster than rangers and a nuke clears trees and buildings. In this game trees are indestructable and tanks have the speed of a rusty bike with flat tires. 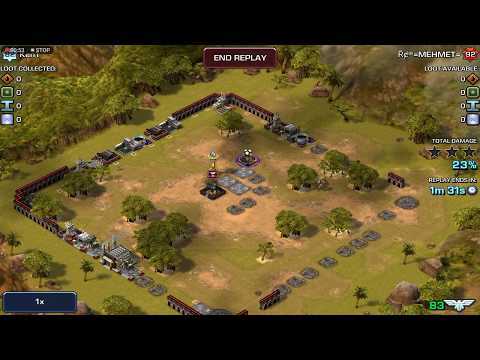 So well done Zynga: defense finally wins. I predict alliance wars between only maxed Sonic bases, in which the winning alliance has 2 or 3 flags. And the introduction of a new hero, who's ability is chopping trees. Of course he has a BBQ on his back and is selfsupportive. Several long time players, including me, are talking about quitting. Sonic has broken the game. All of the time n effort we have put in has been wiped out. In a matter of days, players went to hq30 n added sonic. They are unbeatable, when pared with a high lvl falcon whose time between shields is next to none and with emus n stealth. Supposedly, sonic requires war facrory parts to keep it running? Does anyone know what parts, how many or how long it can go between adding new parts? Maybe, they will have to chose between sonic, stealth tower and ion cannons if it costs too much? Now that the game is too hard to win, all the alliances want to give up the game. Only one of the Sonic barriers or the Tesllar Coil should be created. And a better way to do this is to upgrade Units that are rarely used, such as Tomahawk, Apache, and ravager, to be more powerful. This will allow you to diversify your operations and get rid of the boredom of using only specific units. Now there is no choice but to attack with Viper and defend with Falcon, and it is very very difficult situation, so it is painful and stressful every time you play. We're all learning new skills anyway. It just takes time to adapt. 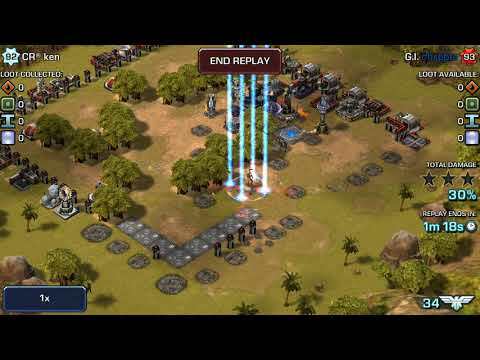 The sonic barriers can be taken out , just change up your strategy in attack . use a gunship to weaken it and then use command points to take it out . the problem with using a gunship to win is, gunships are not readilly available to use 24/7 , so in my opinion this is not a real solution. I agree partly with the comments about how strongthe sonic barrier is. Indeed it is strong and has changed the way of offense and defense. But I'd argue that this is what a strategic game should be. That you need to think, practice, learn from your failures and others failures, and then come up with your own strategy in the game. And imho, even top top players should not get 100% three star. 90% would be a decent figure, lol. I'm at 70% now, and I believe I could still improve it. The introduction of sonic barrier brought a little bit balance back to the game. There's some practical ways to attack bases with sonic barrier and falcon and all the rest of boosts, see below video for more info. Just not sure if the video can be displayed properly. I can't understand neither. Should be the same cost, same duration and same effect. I disagree , when you do hammerfall and finish it twice every time you build up on gunships and because until now with the sonic barrier I never used any that I collected so I have a ton of 15min, 1hr , 3hr gunships available anytime . so yes its a real solution and it works for me . everyone has their own strategy that works for them . sure use those gunships, but if youre playing lots, im sure you wont have many after too long, a bit like using war factory toys everyday and expect to still have components ,unless youre a jumper they will run out.. your 6 gunships a week only give you 8 hrs and 30 minutes gameplay per week, in my opinion a gunship is not a viable solution as its not available 24/7 .. doesnt matter how many "you" personally have saved up.. Apologies for the inconvenience, @jhonnyplumber and @Ken_Ken. The E&A team has already been informed and currently looking into it. Please stay tuned here for further updates. Appreciate your patience and understanding. well if you play the game as much as I do then you would already know how to take out the sonic barrier other than using gunships , yeah I use them but because I play so often I also know they can be taken out by other methods so really does not matter how ''you" go about your strategy , everyone has their own and it works for them . People want a stronger defense and when they get stronger they complain, it's to be expected. My opinion is that it appears even under invisibility and with it helps when the opponent attacks the base.